By GreenEyedLillies on August 12th, 2009 . Filed under: Tattoos . I’ve been reading and enjoying your website for quite some time now, and really love what you are doing! 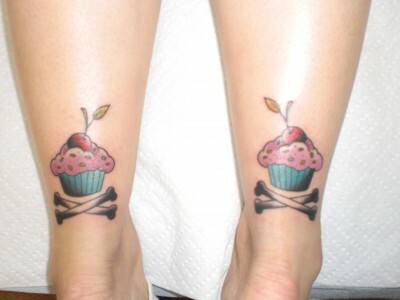 I’m completely obsessed with cupcakes and that’s why I got these cute cupcake and crossbones by my friend Sean O’Neill at The Tattoo Room in Simi Valley, CA.